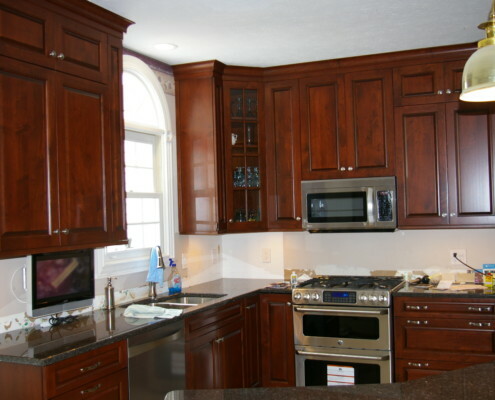 Breit’s is a Cleveland, Ohio based kitchen remodeling company. 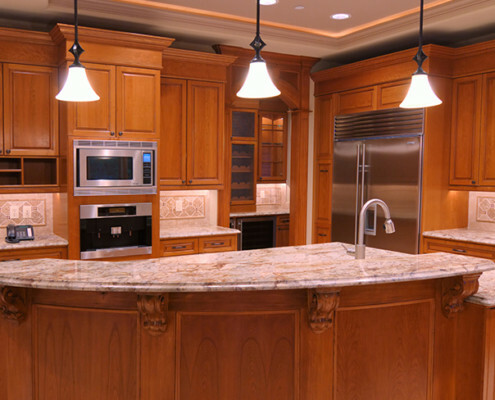 We are expert kitchen remodelers; from new kitchen designs, tile, counter-tops, sink and faucet installations, we do it all! 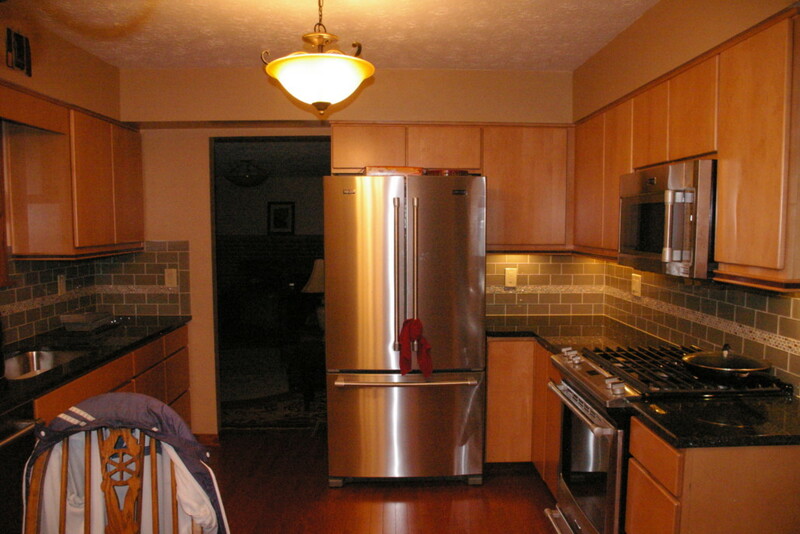 We also design, build, and install frameless cabinets and framed cabinets to suit your needs and budget. 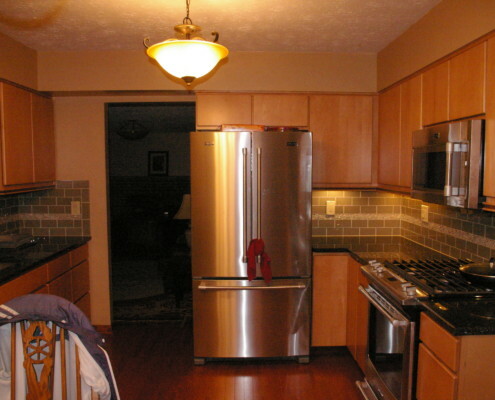 Located in Cleveland, Ohio, Breits serves Rocky River, Bay Village, Lakewood, Westlake, Shaker Heights, Fairview Park, Brecksville, Cleveland Heights, and other nearby communities. 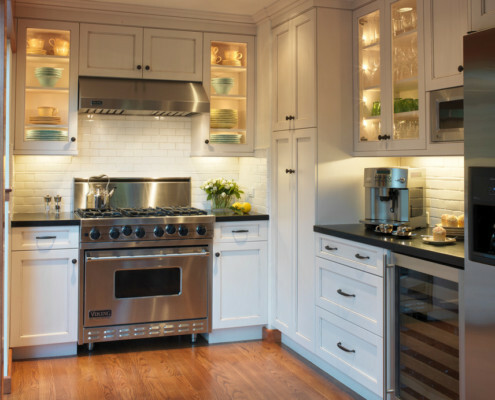 Breits offers kitchen redesigns and bath redesigns, creating beautiful home makeovers throughout northeast Ohio. Breits can design and build the perfect new den, home office, media room, craft room or other room of your dreams! 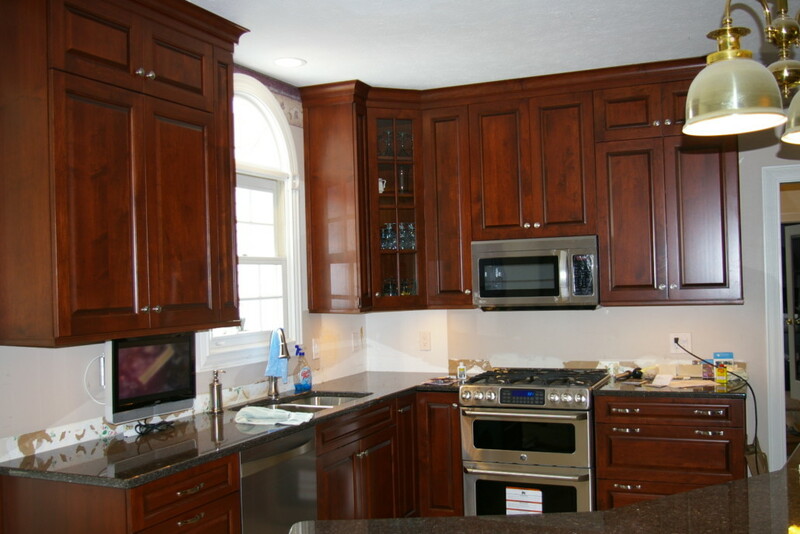 We install high-quality wood cabinets from Wood-Mode, Brookhaven, UltraCraft, Diamond, Saco or Cabinex. 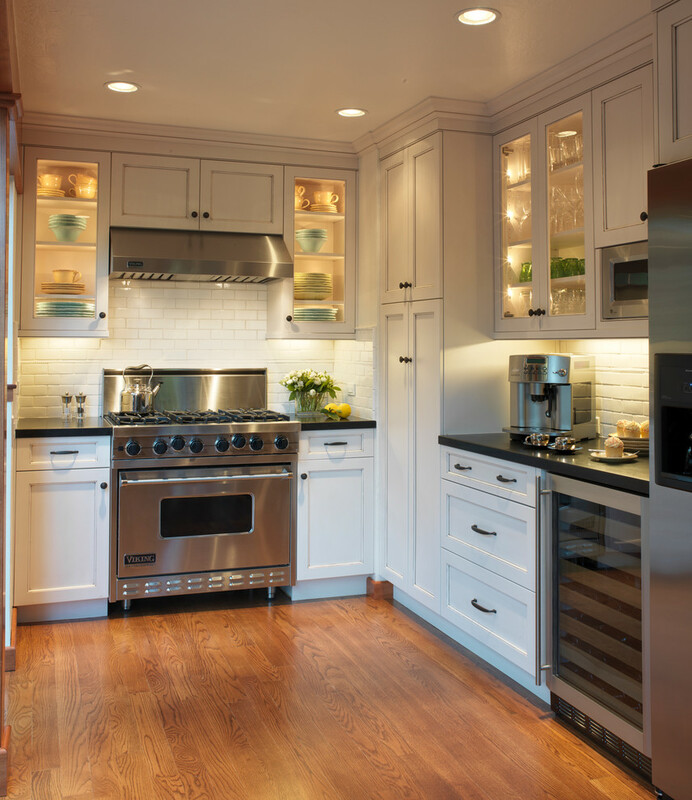 Breits also installs custom counter-tops including Granite, Corian® solid-surface, DuPont’s new Zodiaq®, Wilson Art counters, Formica brand, Kitchen Kompact cabinets, and more. 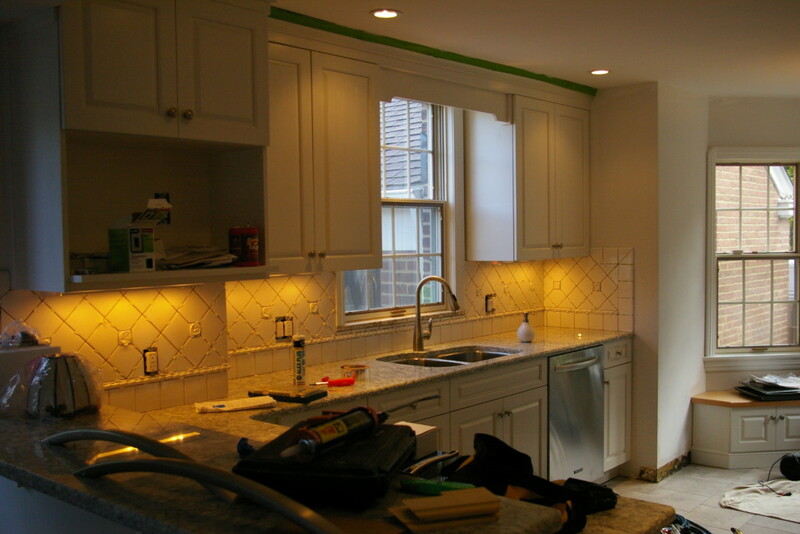 Breits are experts in designing and building custom kitchens and bathrooms, whether new construction or home renovation. 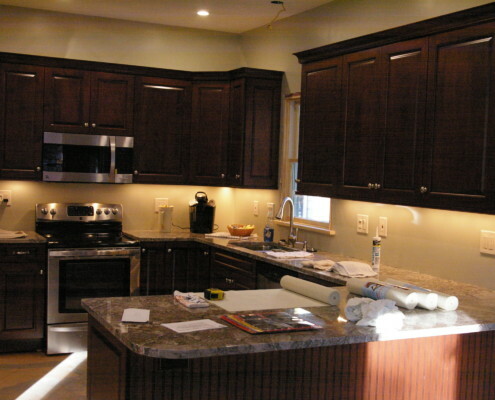 The professionals at Breit’s have an excellent reputation as home remodelers / kitchen remodelers / bathroom remodelers with exceptional knowledge, experience, and skill. 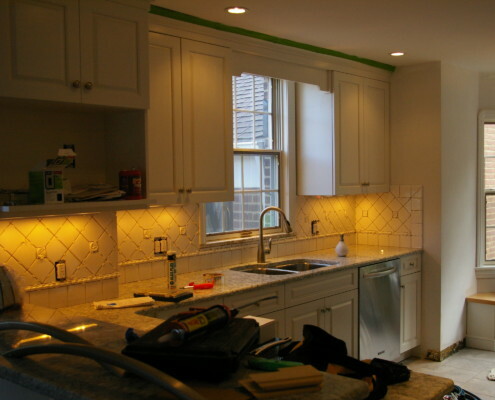 Breit’s is the right choice for new kitchens, new baths, home additions, home renovations. 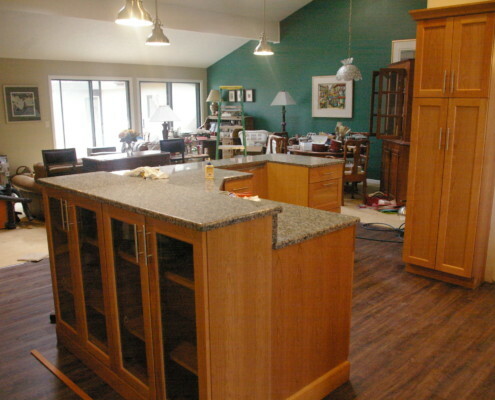 Kitchen islands are a nice addition to any kitchen; they add counter space, cabinet space, and sometimes allow an extra sink. 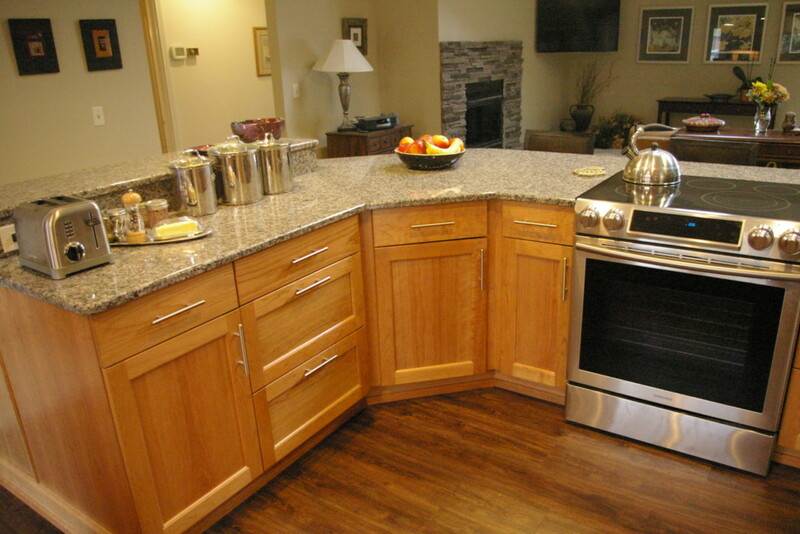 We can help design a kitchen island to fit almost any sized kitchen, complete with custom cabinets and countertops. 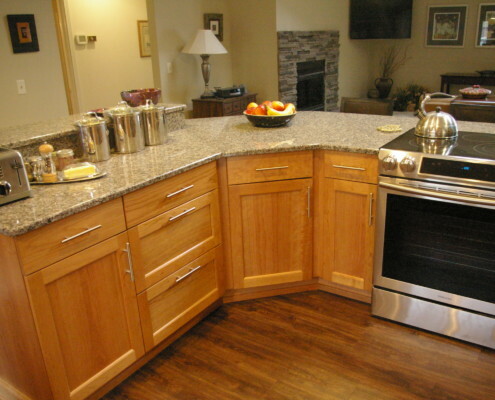 If you have an existing island that you would like replaced, we can show you several options to fit your design and budget needs. With help from our specialized visualizer software, we can take pictures of your current layout, and show you ideas of what the kitchen will look like before we begin! Working with Breit’s has been fantastic. Bob is very friend and easy to work with and understands our needs. When trying to find someone to redesign our kitchen we looked everywhere, but nobody was as nice and friendly as the staff at Breit’s. 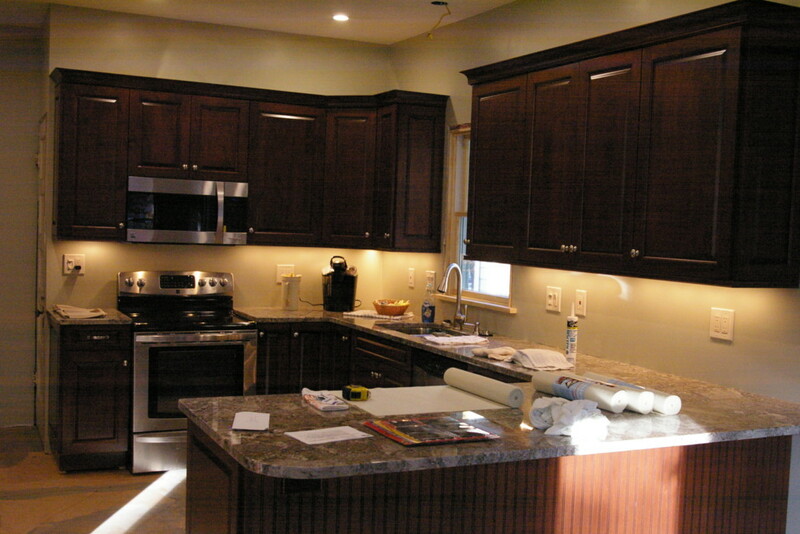 I would 100% suggest anyone to go to Breits for your remodeling needs. 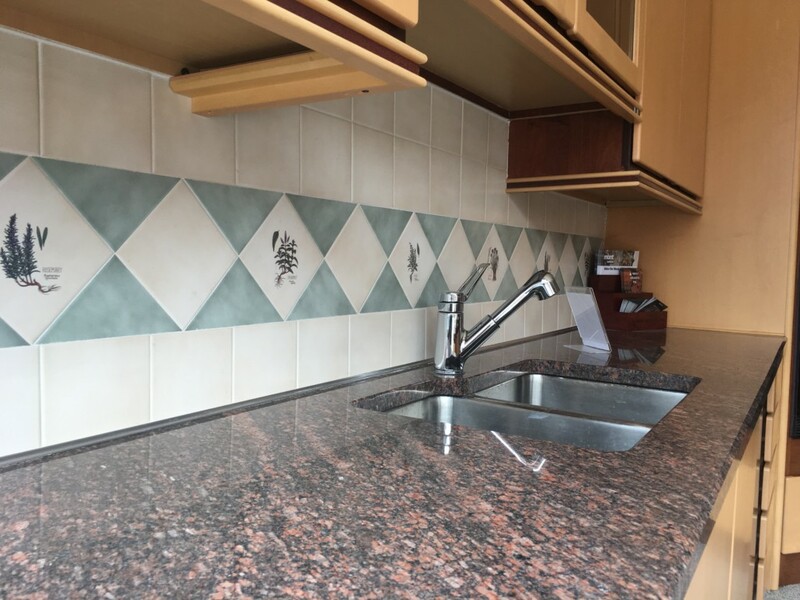 I loved Breit’s for the personal touch that you just don’t get at the big box stores, I was greeted at the door with smiles and my whole design and installation went very smooth. 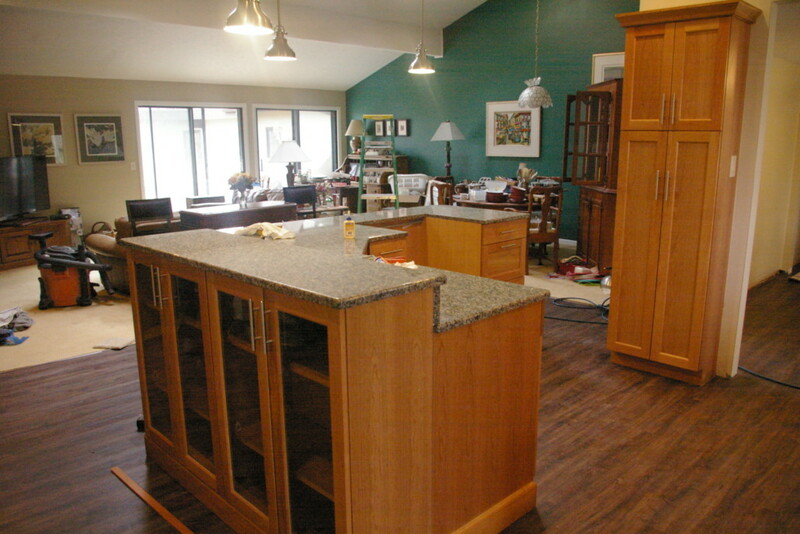 After retirement my husband and I really wanted our dream kitchen, and Breits made that happen. Thank you for making this process so simple and smooth.